You start out for a quiet evening of sushi—maybe at the little place on the corner—and by the end of the night find yourself in a glorious, sweaty, sake-fueled swirl of lights and pulsing music in some mysterious underground lair. And you haven't even left the little sushi place. 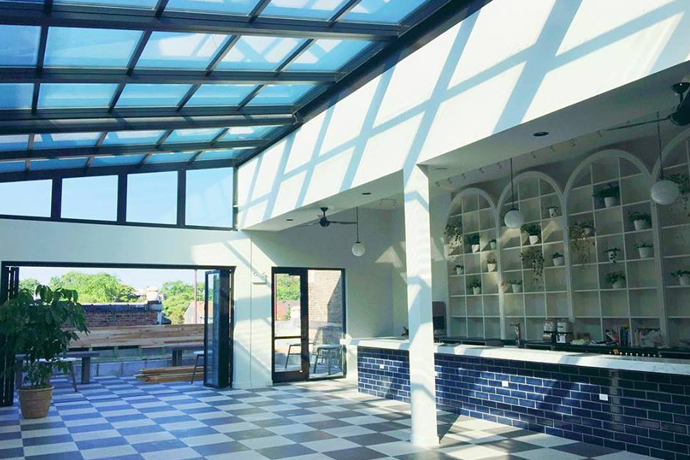 Welcome to the Rabbit House at Usagi Ya, an invite-only weekly party (don't worry, you're on the list) launching Saturday night in the basement of an otherwise sedate Wicker Park sushi house. Now, you'll find a lounge that's half 2001: A Space Odyssey and half 1970s Palm Springs rec room, complete with burnt orange ceilings and pillow-lined banquettes. This Saturday expect a hip-hop and house mashup to set the mood (though the music will rotate weekly) as you knock back a tequila-laden Mexican Samurai. You never know who you'll meet at these places.